I have been working on a painting of a wild pony from the Outer Banks North Carolina. I have this great photo with beautiful details of the mane, and forelock, great colors, great lighting. I have been drawing, planning what colors to use, where dark and light will meet. I have a bit of stage fright with this painting because I love the photo so much. 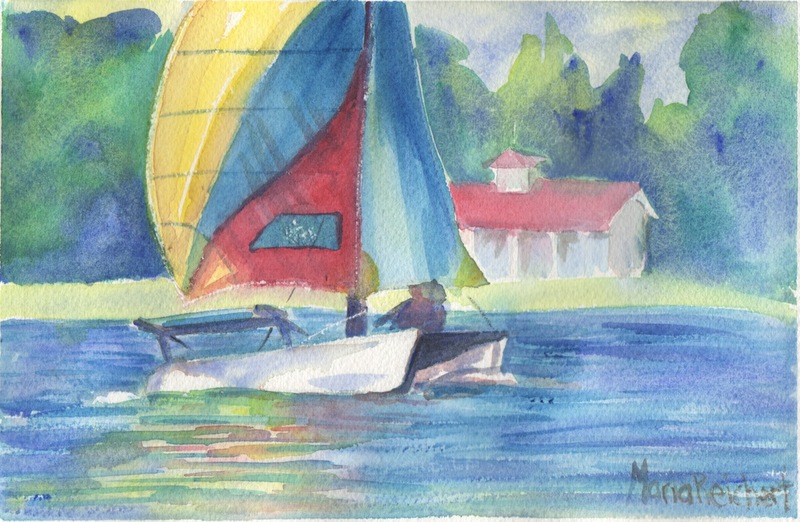 Well, this painting of a sailboat at Portage Point Inn was born from my procrastinating, so much easier to jump in and paint when I don't worry so much about the outcome. I wonder how it must be for some of you artists who do portraits, you must have so much self confidence to know the image will be pleasing to you and to the client. Anyway I have jumped in on my pony painting and will see how it goes, I can always start again if it is not how I had hoped for. nice primary color scheme here. the flowing lines lend nice feeling tone to this subject as well. 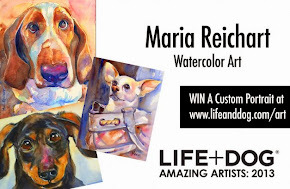 Thanks Mary, I appreciate your thoughts and your visit to my blog, color is such a challenge for me, so much to learn. 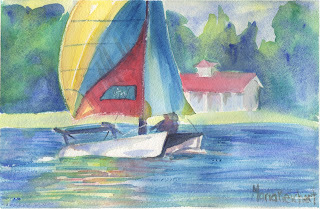 Thanks Pat, with the snowflakes starting to fall, I am wishing for a sailing day today!